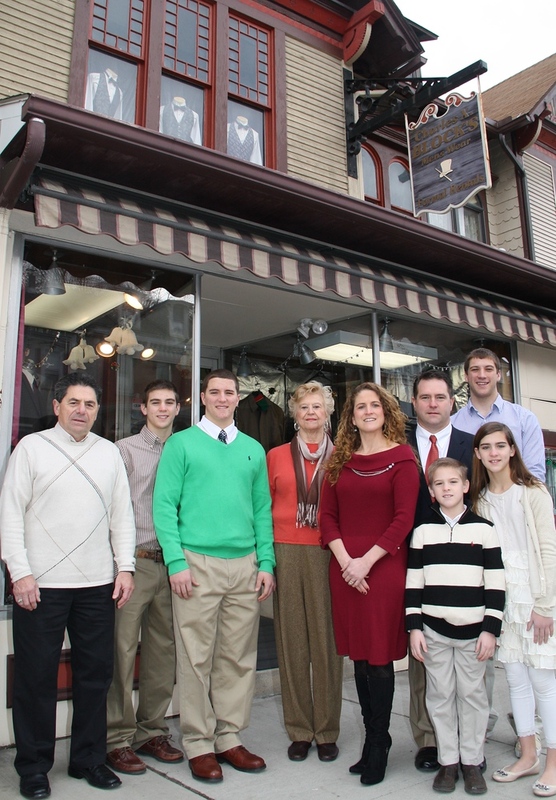 Pictured in 2012, from left, are Rich Gibson, manager; son Dean Richards; son Damian Richards; Joann Protivnak, sales consultant; Jeanette Richards, new co-owner; Ralph Richards, new co-owner; and Dominick Richards. In front are son David Richards and daughter Natalia Richards. FIVE YEARS AGO: Pictured is a January 2012 group photo taken during the new ownership announcement for Charles X. Block in Tamaqua. Click HERE and HERE to view photos from event.